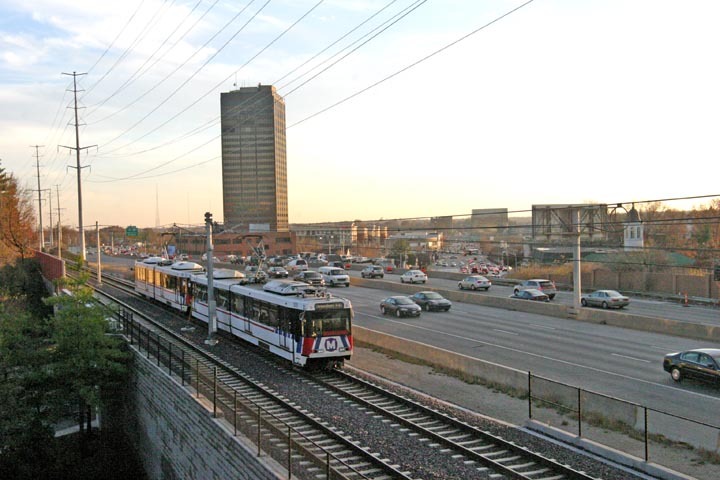 Some Blue Line MetroLink trains will leave five minutes earlier than scheduled during the evenings of December 10 -13 and on December 15 and 16, and Blue Line trains will only operate between Shrewsbury and Forest Park December 10 – December 14 to allow for work along the light rail system. On Monday through Friday (December 10-14) from 8:00 p.m. to end of service, MetroLink will operate on a single track at the Central West End MetroLink Station to accommodate work on the station’s platform extension project. Blue Line trains will only operate between the Forest Park-DeBaliviere and Shrewsbury-Lansdowne I-44 MetroLink Stations. Westbound Blue Line passengers will need to board a Red Line train between the Fairview Heights and Central West End MetroLink Stations, and travel to the Forest Park-DeBaliviere Station to transfer to a Blue Line train and continue their westbound trips. Eastbound Blue Line passengers will need to board a Red Line train at the Forest Park-DeBaliviere Station to continue their eastbound trips. Red Line MetroLink passengers may experience delays of 5 minutes. Passengers transferring between MetroLink and MetroBus at the Central West End Station, please allow an extra 10 minutes due to the closure of the walkway. On Monday through Thursday (December 10-13) from 8 p.m. to the end of service, and all day on Saturday and Sunday (December 15 & 16), MetroLink will operate on a single track at the Sunnen and Maplewood-Manchester MetroLink Stations to allow crews to perform track maintenance. This work will not affect Red Line service. Eastbound Blue Line trains will depart 5 minutes early from the Shrewsbury-Lansdowne I-44, Sunnen and Maplewood-Manchester Stations. Eastbound Blue Line trains will operate on their normal schedule beginning at the Brentwood I-64 MetroLink Station. Westbound Blue Line MetroLink passengers traveling to the Maplewood-Manchester, Sunnen or Shrewsbury-Lansdowne I-44 Stations may experience delays of 5 minutes. For more information, contact Metro Transit Information by calling 314-231-2345 or 618-271-2345 or texting 314-207-9786, Monday through Friday from 7 a.m. to 6 p.m.